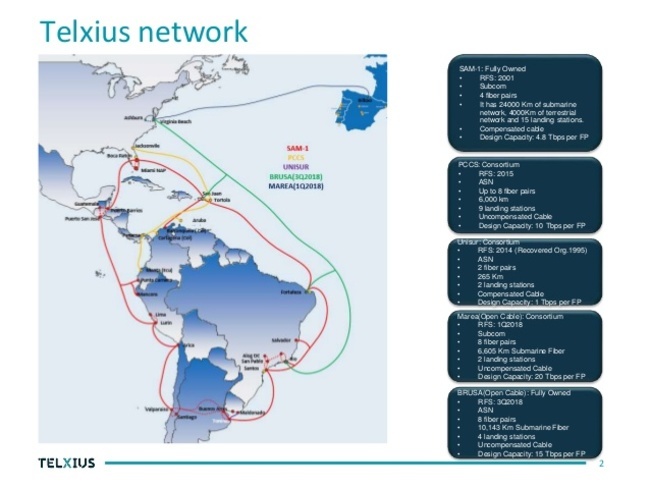 Globalinx in Virginia Beach will offer direct access to MAREA and BRUSA subsea cables. The cables land in the Telxius cable landing station, which is approximately 600 meters away. Globalinx is constructing diverse parallel conduits the length of the site into both point of entries which will be owned and managed by Globalinx. 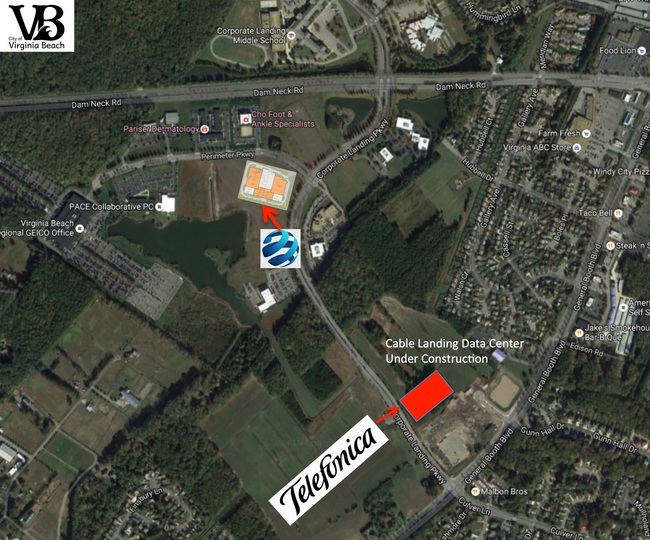 The Telxius data center in Virginia Beach is the landing station for the MAREA cable. 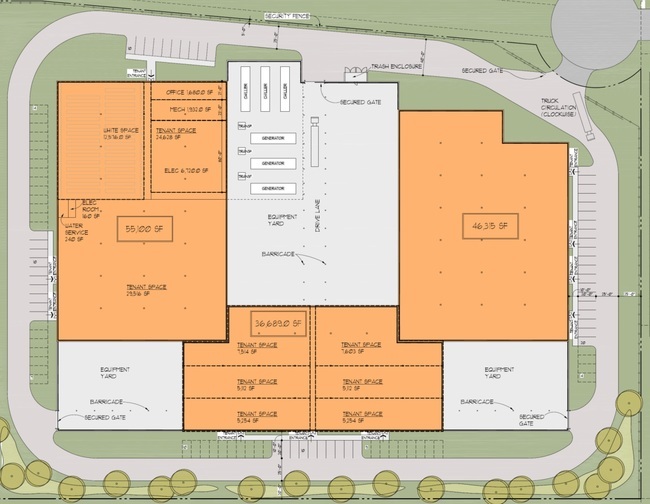 Two subsea cables that were recently completed is expected to drive data center building in Virginia Beach. The MAREA transatlantic cable is the first subsea fiber-optic cable connection in the Mid-Atlantic, and the highest capacity subsea cable linking the U.S to Europe. The cable is a joint project between Facebook, Microsft, and Telxius. 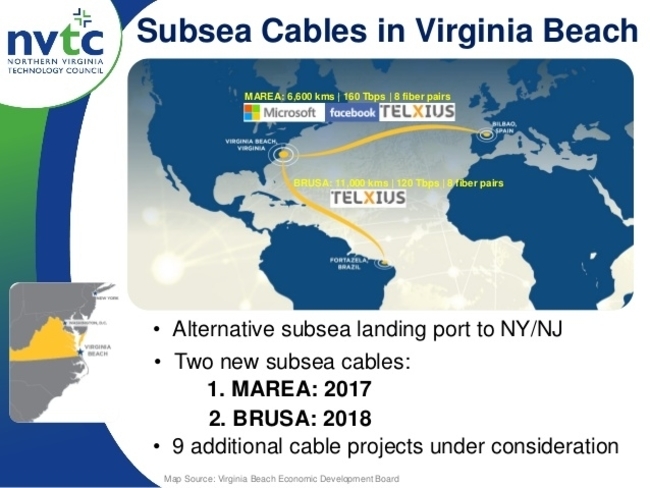 The BRUSA cable landing in Virginia Beach is the first subsea fiber-optic cable connection between the Mid-Atlantic and South America. 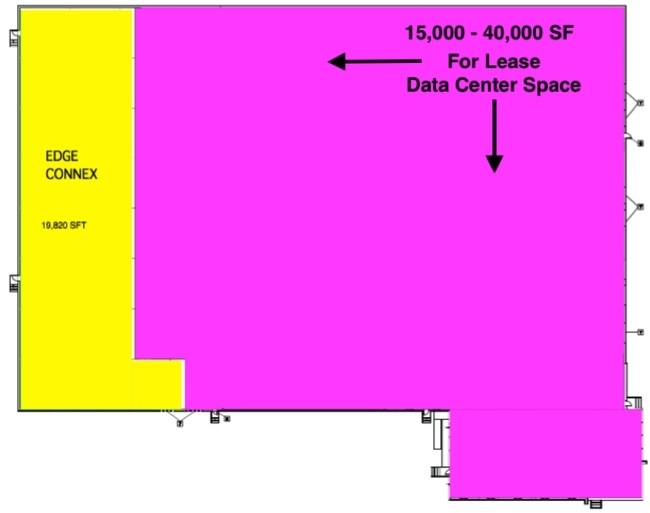 NxtVn, a dutch data center developer, has proposed to develop a large data center park in Virginia Beach near the Corporate Landing Business Park. Energy Certified Data Center Park. 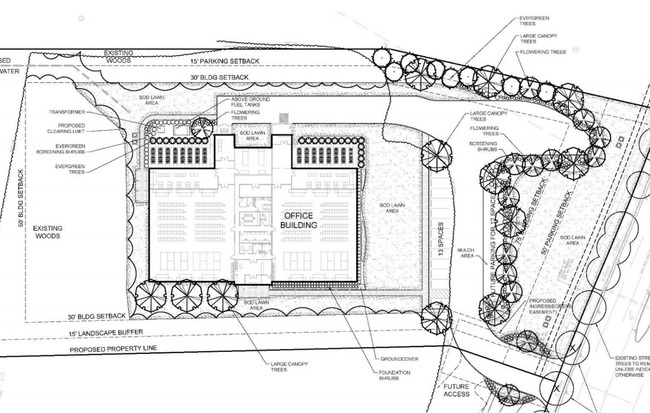 There are several data centers planned or under construction at the business park to support the subsea cable landings. MAREA and BRUSA cables are now landing in Virginia Beach. The Virginia Beach landing port provides an alternative to NY and Flordia landing stations.